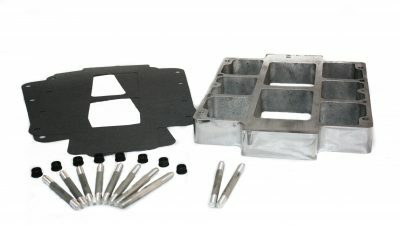 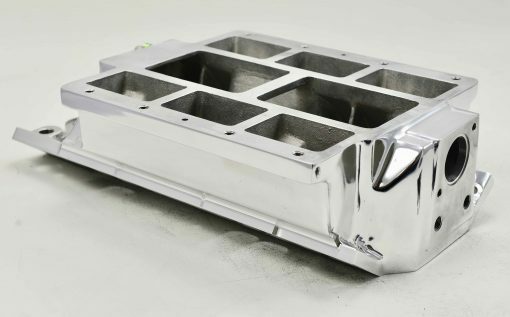 To increase performance through even distribution of air and fuel to each cylinder, The Blower Shop has developed its own intake manifolds for small and big block Chevy applications. 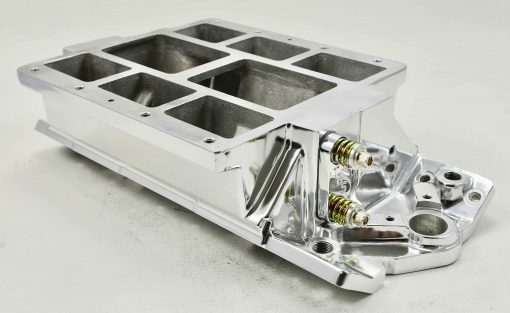 Our Small Block Chevy Street/Marine Manifold is machined from an aluminum casting utilizing integral solid sides. 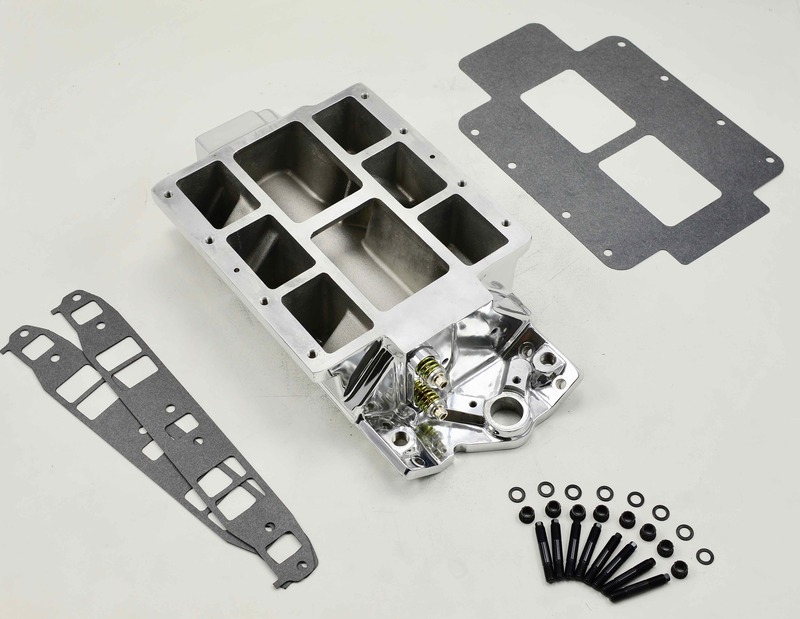 This allows us to increase the level of strength and overall rigidity of the manifold. 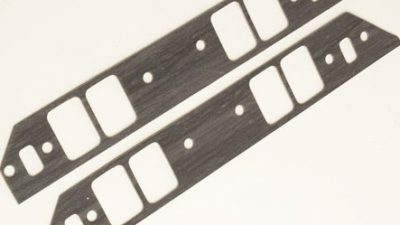 We use a slight radius on the floor for increased runner length and optimal airflow.